Cove chair by Dorigo Design. Chrome skid base leg frame. 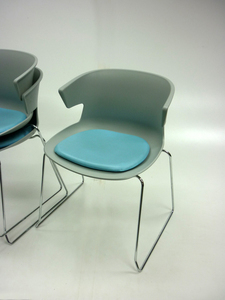 Light blue removable vinyl padded cushion.